Terrible tattoos are nothing new; there have been plenty of lists made showcasing the worst examples of this body art. From bad designs, awful tattooists and atrocious grammar, some people should walk straight from the tattoo parlor into the nearest laser removal clinic. But it seems we have now reached the absolute pinnacle of ill-conceived inkings, with this Bon Jovi tribute piece. 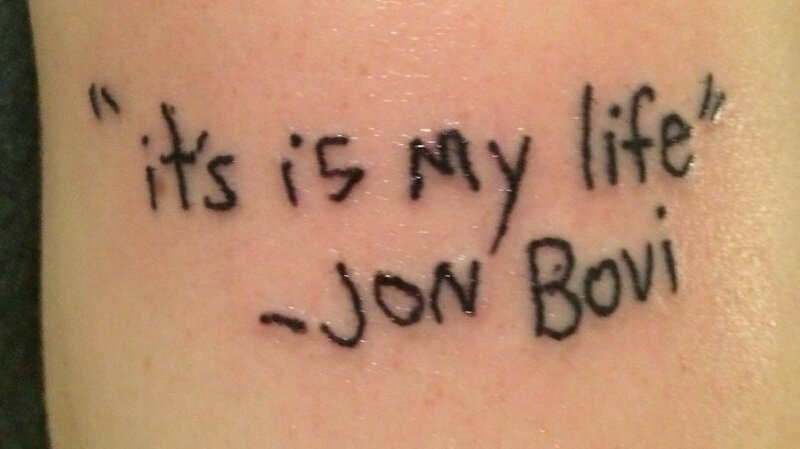 Whether this entire tattoo is the fault of the person getting it, the tattooist, or even if it was purposely done this way as a joke, it will forever find a place on future ‘most regretful tattoo’ lists.